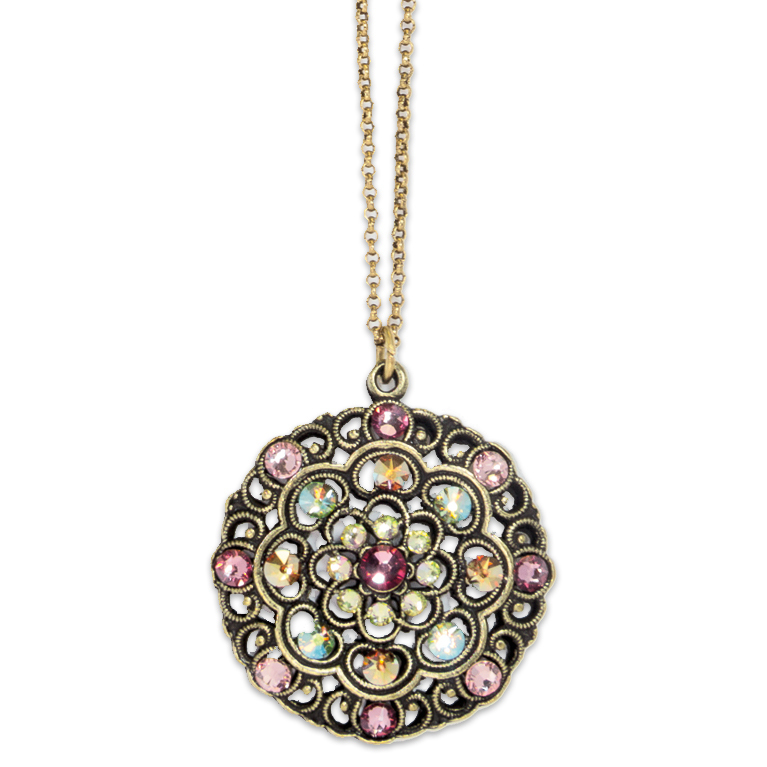 All the right elements come together in these elegant Belle Epoch (1871-1914) inspired pendant necklace. 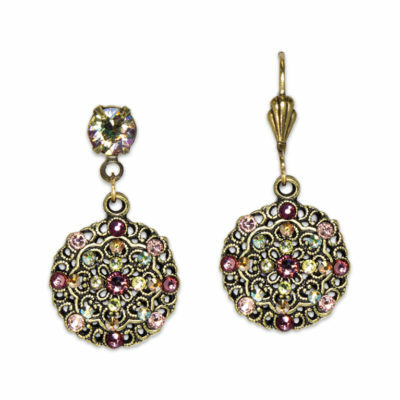 The pastel colored Swarovski crystals will undoubtedly look amazing with any blush pink or champagne colored clothing. Approximately 3/4 in. drop in diameter.